Sadly, this is the case. Where does all this guck come from? Contamination gets into the water supply through pollutants on land, in the air and in the water itself. Polluted water can come from industrial and municipal discharges, agriculture and storm water. When it rains, water can become contaminated when it comes into contact with chemicals on land or in the air. When the water enters rivers, lakes and estuaries, the pollutants contaminate the fish that live there. So you can see, there are any number of ways fish can become poison carriers. Bacteria naturally convert mercury to methylmercury, which in turn is absorbed by fish from their food and from the water they use for oxygen. Older and larger fish usually have more of this type of mercury contamination than smaller and younger fish. Predatory fish like swordfish and sharks also tend to contain higher levels of mercury because they’re consuming mercury-laden prey fish. Organic chemicals like PCBs, dioxins and DDT can be absorbed by fish from the water, sediments and their food. Because chemicals settle to the bottom in the sediment, bottom-dwellers like bluefish, American eel, wild striped bass and seatrout are generally high in PCBs. Because these contaminants build up in your body over time, they can lead to slowly developing, hard-to-detect health problems like birth defects or cancer. Women in their childbearing years need to be especially careful about consuming contaminated seafood because it can take five years or more to rid their bodies of PCBs and up to eighteen months to reduce their mercury levels. Both of these toxins can lead to birth defects and learning disabilities, even if the mother consumed the contaminated fish prior to becoming pregnant. Children are also at higher risk for health problems from consuming contaminated fish than women beyond their childbearing years and adult men, so watch what your kids eat. · For more information about the safety of your seafood, check out the EPA Fish Consumption Advisories. · Eat smaller fish like sardines, salmon, Atlantic mackerel, herring and anchovies and make sure they are from sustainable fisheries. 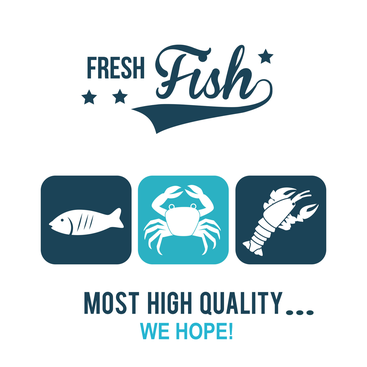 · Choose fish that comes from cleaner bodies of water like Alaska, remote islands or the Pacific Ocean. · Avoid fish from industrialized areas like the Great Lakes or the Chesapeake Bay. · Choose farmed fish like trout and catfish. · Choose species that grow quickly like tilapia, mahi mahi and barramundi. · Avoid seafood from China, due to the high level of industrial pollution. · Avoid predatory fish like shark and swordfish. · Avoid bottom-dwelling fish, like sole, unless it is farm raised. I will be doing an article at a later date on farm raised seafood. That has its own set of issues. There are ways to eat fish safely, but it will take a little knowledge and effort. If you are eating fish for pleasure, choose sustainable and wisely. If you have questions, contact me, Linda Dulicai, at 540-428-1949 or linda@The-Healthy-Zone.com.